Kim has been programming mobile applications for many years. 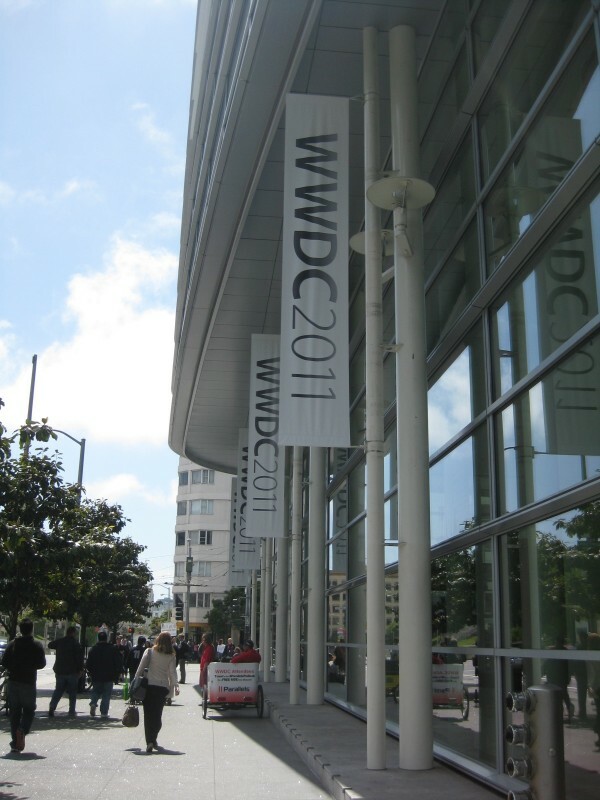 This was her second year attending the World Wide Developer’s Conference (WWDC) for CollegeMobile. As a recent graduate from the U of S, Kim also qualified for a ‘Student Scholarship’ and was able to attend the conference for free! Besides looking for developers from the companies that make my favourite games or that I recognize, I spent a lot of time in sessions and drinking Odwalla juice, which is always available in large quantities throughout the conference! Many of the developers I spoke with mentioned that the labs are the key to the conference. Apple Engineers provide ‘hands-on-help’- Hard to download THAT publicly later on! For myself, I prefer to attend the information sessions to keep up to date on what’s new with iOS 5. Don’t get me wrong, they had a lot of interesting sessions on Lion, but I left those for the other CollegeMobile developer who attended, Kumaran. I felt that WWDC is a prime time to meet up after hours with a large variety of conference attendees due to the prevalence of free entertainment, food, and drink. I found many of my best chats were with producers, business owners, and representatives from overseas companies such as Natsume. One of my favourite announcements from the conference was the ability to become ‘PC Free’–or the ability to register mobile devices without having to connect them to a personal computer. This is a thrilling step forward in the advancement of PCs…from something that takes up space on your (literal) desktop to something relatively ubiquitous in comparison. Apple introduced a lot of features that will make development a little less grinding, in my opinion! My favourite is ‘Storyboarding’ in Interface Builder (IB). Coming from a fine arts background, I had always chosen to sketch out my storyboards in a book. Although I usually enjoyed it, anyone that has attempted this knows that it can be an incredibly long and unrewarding task! On the other hand, it’s easily understood by outside viewers and when done correctly, clearly explains the timeline of your scene, or the flow of your application. This feature will definitely convert me to using IB more often. My second favourite feature would be the new notifications style, which is a notification centre that will prevent them from interrupting applications in the middle of customer use. I look forward to attending future WWDC’s! register of mobile device to connect it.